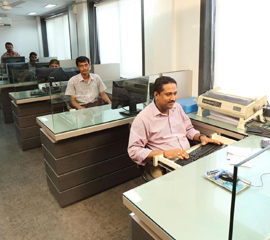 Ankit’s competitive advantage comes from the innovation and commitment of our personnel. Contributions towards the goals of the company are expected at every level. At the same time, good performances never go unnoticed. This is the basis of our human resource policy – you earn what you deserve. The company’s technology, resources, infrastructure and approach provide ample opportunities to develop and display talent. Like any team, the Ankit family is only as strong as its weakest member. If you are ready for a challenge, the Ankit family is the right place for you. *This field is required. *This is not a valid position. *This field is required. *This is not a valid work experience. *This field is required. *This is not a valid salary.